“Big Apple Adventure”: Salem Association VBS Team recently held early planning for a VBS Leadership Clinic scheduled Saturday, April 30th. Seated front: Jessica Hurley and Michael Pinegar. Front Row: Donna Nichols, Lisa Fluty, Deborah Shahan, Melissa Cripps, Patti Hale, Vickie Puckett and Gloria Pinegar. Standing: Carter Rogers, Jeff Cripps, Jenny Sissom, Connie Ferrell, Steve Puckett, Suzanne Bradford, Bill Gash, Megan Smith, Jean Ferrell, and Pam Northcutt. Ever wanted to go to New York City (NYC)? Without ever having to board an airplane, children and adults will have a front row seat to the “Big Apple” during Vacation Bible School (VBS) this summer. The VBS “Big Apple Adventure: Where Faith and Life Connect” will provide daily scenes through the largest city in America often described as the Crossroads of the World. Participants will be introduced to Bible characters that came to a crossroads in their lives when they encountered Jesus. 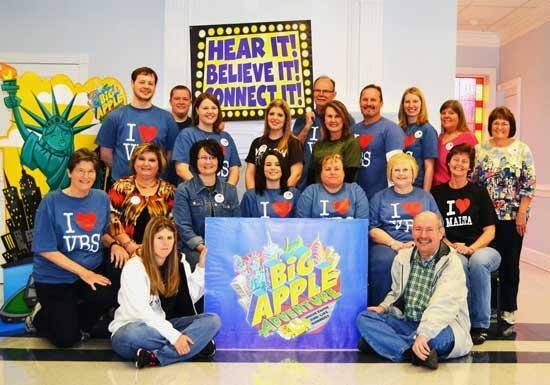 Salem Association “VBS 2011 Team” recently took their first bite of the “Big Apple Adventure” with an early planning session held at Woodbury First Baptist Church. 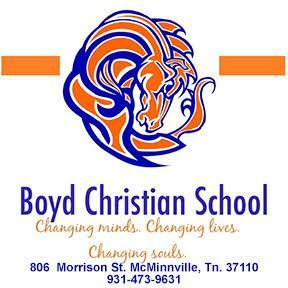 This group will lead a VBS Leadership Clinic from 9:00 am to 12:30 pm at the church on April 30, 2011. There will be training for all ages including Bible study, crafts, missions, music, recreation, decoration, and administration. Additionally, former missionaries to Belize, Don and Trish Pierson, will be leading sessions on Prayer and Passing on Faith Legacy. The event will end with a New York-style buffet and door prizes. In 2010, VBS was held in twenty-eight of the thirty-three Salem Association Baptist churches. There were 2,200 children enrolled with fifty-six professions of faith and nearly $6,000.00 dollars given to missions. 2011 VBS is expected to be an equally exciting and evangelistic adventure this summer at a church near you!